To support those living with cancer, Nuffield Health has launched Relax & Restore Cancer Care Treatment: a bespoke range of treatments that have been researched and approved for use on people living with or recovering from cancer. Treatments are offered by specially trained therapists, doing away with the need for a doctor’s letter. Current regulations prohibit therapists from providing traditional massage techniques on people living with cancer without specialist training and many spas require a letter of approval from the GP before therapies can be offered. This is because therapists need to take extra care or even avoid providing massage or reflexology post-surgery. Cancer treatments can also affect skin, hair and nails, and some essential oils can affect how well drugs or therapies work, so therapists need a level of specialist knowledge. All Nuffield Health therapists providing the treatments have been trained on a three-day course provided by The Made for Life Foundation: a charity providing holistic support for people diagnosed with and recovering from cancer. This course is accredited by the Complementary Medical Association and was developed in close association with oncologists, surgeons, MacMillan Cancer Support and cancer specialists. Kate Green, our Health & Beauty Manager in Guildford Fitness & Wellbeing Gym told us what it meant to her completing the additional training. The Relax & Restore treatments use 100% organic products by Made for Life Organics, which have been used on people with cancer for the more than 15 years. The products are already approved for use on people living with cancer, meaning people will not need a GP letter to be treated by a specially trained Nuffield Health therapist. While there are no recorded medical benefits to spa therapy for those living with or recovering from cancer, people frequently report a reduction in stress levels, improved sleep patterns, a reduction in pain and an overall feeling of wellbeing after a spa treatment. Any customer seeking Relax & Restore treatments will be asked to complete a questionnaire and have a comprehensive consultation carried out by a trained therapist to understand their condition, treatment and symptoms. 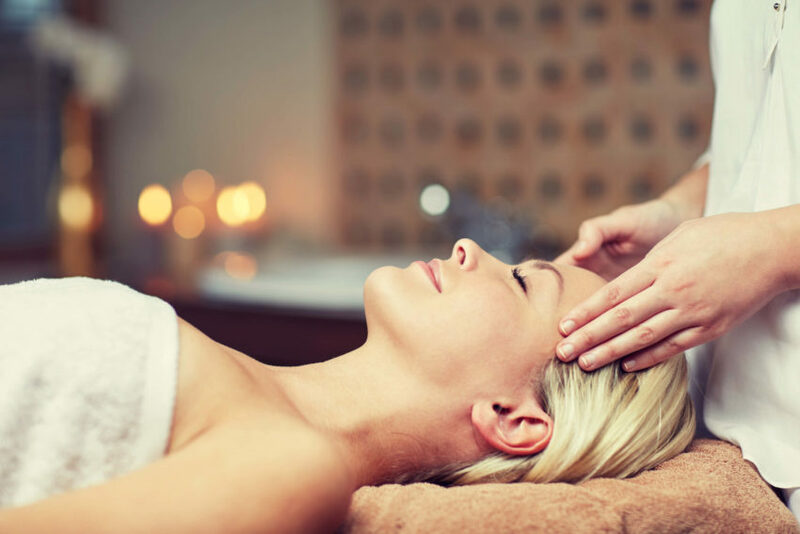 Relax & Restore treatments are suitable for anyone however. This means that if two people, including someone who is living with cancer, visit a Nuffield Health Beauty Suite and they want to have the same treatment, they can. To begin with, Relax & Restore will be available in 10 Nuffield Health Beauty Suites across the country. These are: Guildford, Wolverhampton, Oxford, Didsbury, Bishops Stortford, Cambridge, Tunbridge Wells, Bridgend, Newbury and Weston-Super-Mare. The longer term aim is to make these services widely available across Nuffield Health sites. To find your nearest beauty suite offering Relax & Restore treatments, click here. If you’re interested in becoming a Beauty Therapist at Nuffield Health, then please register your interest here.